This won’t give you all the records and statistics of Dutch football. Doesn’t have a chronological history of the game in the country. Doesn’t talk in detail about all their great players, great matches or great clubs. To sum it up, this book isn’t the best preparatory material for a quiz on Dutch football. You might even end up in last place. In that sense, it is quite unlike most of the books written about a country or a club’s football history and culture. In fact, the writer often goes on for pages without even talking about football, forget Dutch football. And yet, it is in my humble opinion ( as well as that of most people who write reviews on Amazon.com and goodreads.com) quite easily the best book on Dutch football. Because David Winner’s book deals with something much more profound and goes much deeper in its investigation. It talks about the mental makeup of the Dutch nation – why they are what they are? It does a very good job of explaining a lot of other Dutch peculiarities – and I use that word because the Dutch are the antithesis of a conformist regular normal world. And in doing so it answers the questions about Dutch football. Why and how the Dutch came up with Total Football? Why the Dutch lose all the important matches? Why the players always get into fights? Why it is wrong to call the Netherlands the Brazil of Europe? The Dutch concept of nationalism and patriotism? And the Dutch definition of a good footballer? 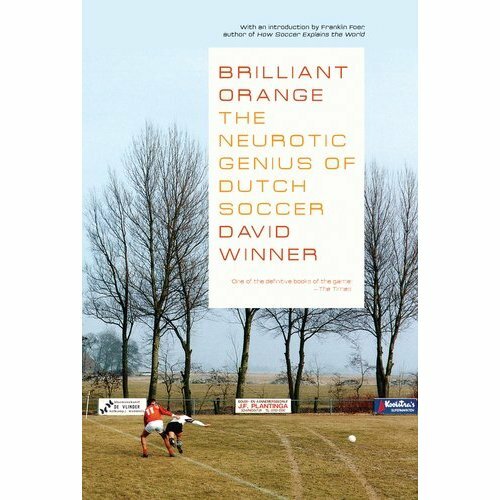 If Dutch football was a living person then this book makes it very clear that the head is the most important organ; more valuable than the feet. And then it does what Freud would have tried to do – study the person’s head. And that ways, the book is very aptly named. 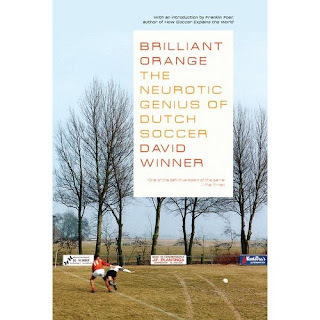 And David Winner has written a book unlike any other. Two of the fascinating concepts that this book deals with are individualism and space – and explains that both are as much a part of the national fabric as of their approach to football. Individualism is not the freedom to do whatever he feels like but to retain a strong sense of the self while still keeping the collective in mind. And space is to create space where there is none – something the country below sea level does on an ongoing basis. A special mention must be made of a very fine introduction by Franklin Foer who makes a very interesting analogy that the richness of football is like a cultural Galapagos. This book is like a fine meal. You need to eat slowly and savor every morsel. It might bore the casual fan as he looks to read about the feats of the all conquering Ajax side of the early seventies. The least he is expecting is a chapter on the three consecutive European triumphs. But all he gets is bits and pieces, here and there. You will not win the quiz but you will surely win the paper writing competition on Dutch football. Rating – Five out of Five all the way. An important anecdote. David Winner's book lost out in the 2000 William Hill Sports Book of the Year Award to Lance Armstrong's, Its Not About The Bike. Given how things unraveled 12 years later leading to Armstrong's remarkable fall from grace, Winner probably deserves some sort of a consolation. Where you can buy - This book is easily available with all the leading online retailers in India and not too expensive.